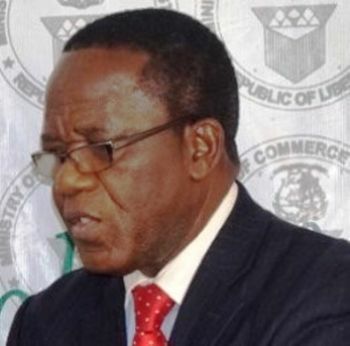 THURSDAY: April 4, 2019: Press Release: The Ministry of Commerce and Industry says efforts are ongoing to make fronting a criminal offense in Liberia. Commerce and Industry Minister, Professor Wilson K. Tarpeh, said fronting is one of the key issues undermining the Liberianization Policy in over the years. Professor Tarpeh said the Commerce Ministry’s legal team has been working along with relevant stakeholders, particularly the Legislature to enact a law that criminalizes fronting. He said the Liberianization Policy, meant to give Liberians the needed space in the commerce of their country continues to be undermined by some of the very people it was intended for. The Liberian Chief Trade Negotiator called on well-meaning Liberians; especially those in the business sector to desist from practices that have the propensity undermine government’s efforts to transform their lives. He said fronting, among other vices will continue to give aliens and foreigners edge over Liberians in country’s business sector. A Commerce Ministry release says, Professor Tarpeh made the disclosure recently at his office during an interview with reporters.